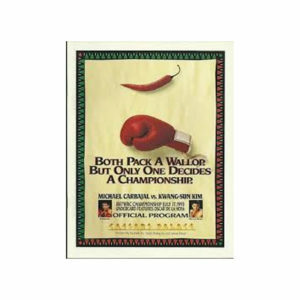 Canelo-Smith Program from the September 17, 2016 fight in Texas. 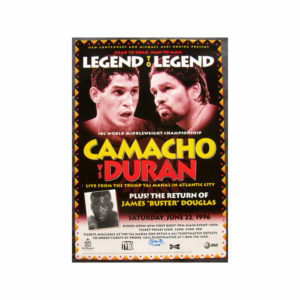 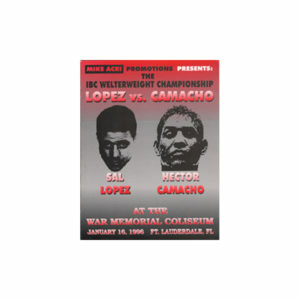 Canelo-Lara Fight Program from the July 12,2014 fight at MGM Grand. 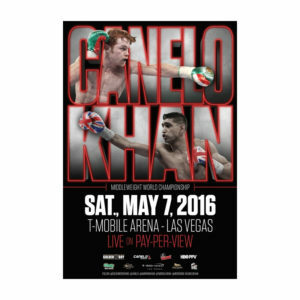 CANELO-KHAN fight program from the May 7, 2016 fight at the New T-Mobile Arena in Las Vegas.Set of 2 boxing cards included in program. 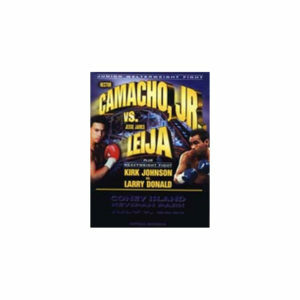 Canelo-Chavez Jr. 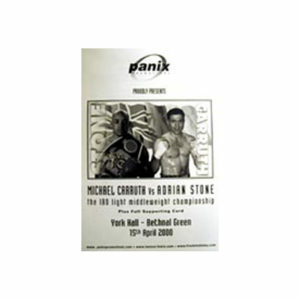 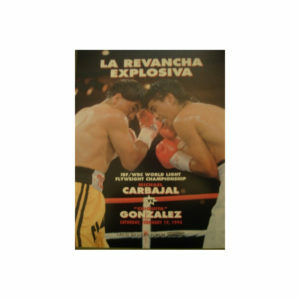 SIGNED Fight Program from the May 6th fight in Las Vegas. 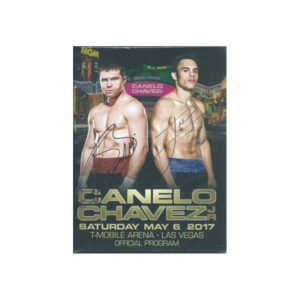 SIGNED BY CANELO & CHAVEZ JR.
Canelo-Chavez Jr. Fight Program from the May 6th fight in Las Vegas.